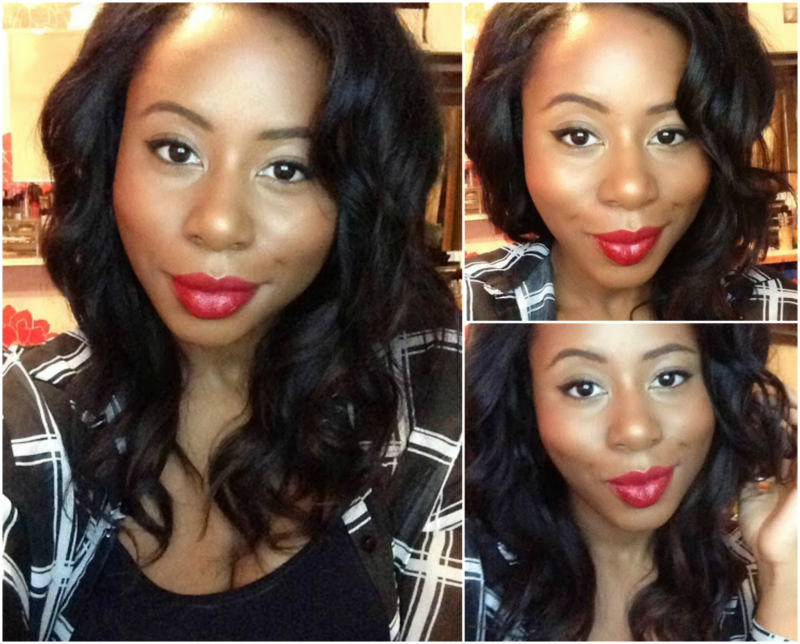 For my red lip ladies, I’ve created a simple and easy to wear red lip look for your Valentines date. This look is perfect if you’re not an eyeshadow wearer or a lashes wearer, all you need is your favourite red and a good liner. For a full product list please look below!! Start off with your favourite primer for makeup longevity and to banish those pores, I used the Tony Moly Egg Pore Silky Smooth Balm Primer. I then went in with my L’Oreal True Match Foundation in N8 Cappuccino which I buffed in well with a stippling brush, if you have dry skin feel free to use a foundation such as MAC’s Face and Body or Make Up For Ever’s Face and Body. For subtle highlighting use a full coverage concealer one to two shades lighter than your skin tone. I firstly went in with my MAC Studio Finish Concealer in NC45 to highlight the arch of my brow as well as underneath my eyes, I found that this was still a bit too understated so I then went in with Kevyn Aucoin’s Sensual Skin Enhancer in SX12 which is about two shades lighter, just to perk up the colour. I set my concealer with a light beige eyeshadow from my 28 Neutral Eyeshadow palette. I then buffed out the edges of my concealer to get rid of any harsh lines and went in with my Inglot AMC Pressed Powder in 60 to blend out any further harsh lines, I also used this to set my foundation as I like the matte look. For my cheeks I didn’t want a shimmery blush, just a natural flush so I used a bit of the Graftobian HD Blush in Autumn Breeze and set that with NYX’s Powder Blush in Cocoa. Then to add a lil something extra I went in with my favourite highlighter on all of my key areas. I used MAC Gold Deposit on the area right above my brows, down the bridge of my nose, on my cupids bow, my philtrum and the tops of my cheek bones. Feel free to go liberal with this, obviously you don’t want to look like a disco ball but a good quality highlighter will stop this from happening anyway. Simply prime your eye, I used a bit of my Inglot Pressed Powder in 60 for this and then go in with your favourite/most pigmented eye liner. Normally I love using my Make Up Geek Gel Liner in Immortal (all time fav) but for this look I wanted to switch it up. I used my L’Oreal Superliner Perfect Slim in Black Intense. I first drew my line across my lid, I then tipped my head back to find where I wanted my flick to go (dunno why, but this method just works for me) I drew in my flick and attached it to the line on my lid, if you make any mistakes (which I always do) go in with a cotton bud dipped in make up remover, this will give you the sharp edge you need as well as fix the angle of your flick if you plotted it out wrong. Next go in with your favourite mascara, I started with Benefit’s They’re Real for drama and then went in with the Maybelline The Falsies for volume and more drama. You can add lashes to this look if you wish but this look works well without lashes too boo boo! Then add your favourite red lipstick. I decided to change it up and use a lippie I don’t wear very often, if at all. anddddd we are all done! A simple statement eye and lip without going OTT for Val’s Day, a look perfect for beginners that doesn’t break the bank!